On the cusp of a black hole, the future of the Polity hangs in the balance. Several forces are now pursuing the rogue AI Penny Royal, and the Brockle is the most dangerous of all. This criminal swarm-robot AI has escaped its confinement and is upgrading itself, becoming ever more powerful in anticipation of a deadly showdown. Events escalate aboard Factory Station Room 101, the war factory that birthed Penny Royal. Here, humans, alien prador, and an assassin drone struggle to survive amidst insane AIs and technology gone wild. The situation is further complicated by the unexpected arrival of the Weaver. The Weaver is the last of the Atheter, resurrected from a race that suicided five million years ago. But why would Penny Royal want an Atheter here? And what could it contribute to the dark AI’s plans? And beyond the war factory, a black hole conceals a tantalising secret – one that could destroy the entire Polity. 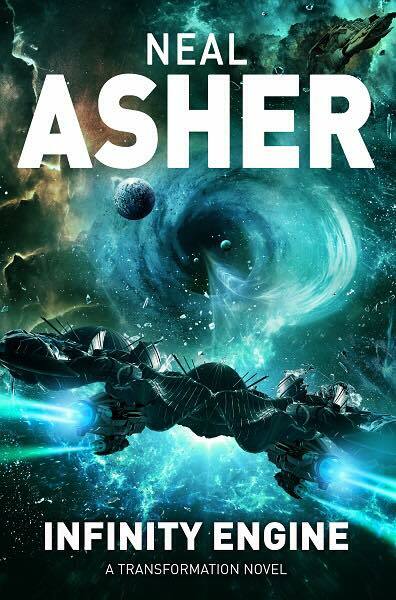 "Asher delivers the plotting, the deeply woven interplay of story threads, and the thrills. Never mind the big kabooms! This evidently suits his storytelling skills, and he delivers the quasi-military Space Opera with gusto here. What he does not deliver is where I find his writing, his descriptions really excel, though – creatures, eco-systems, actor-interplay full of logically violent interdependent relationships; may this be fauna, flora, or actual actors."